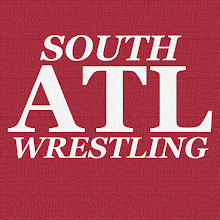 South Atlanta Wrestling: It's Father's Day Friday! If you thought I was going with a Father's Day related song today then I'm afraid I've got some bad news. While playing WWE 2K14 I realized this song was pretty great. Now that they've got Barrett back in the ring I'm hoping that means we are looking at a big push for Bad News. Someone on WCMB mentioned that he has the best theme in WWE right now and that it makes him look like a bad dude. I'm not sure it's the best theme, but it's in the discussion. We've got a weekend full of Father's Day celebrations. We will be celebrating with my dad, brother-in-law, father-in-law and uncle. It's going to be good times.